Our professional service covers the whole of the U.K. with the majority of our customers being driving instructors. Our work is to undertaken by fully qualified fitters, engineers and trained He-Man vehicle specialists. There is a lifetime guarantee on all our work that we offer- from dual control installation, to maintenance and repairs. We have full public liability insurance for vehicles worked on by us. 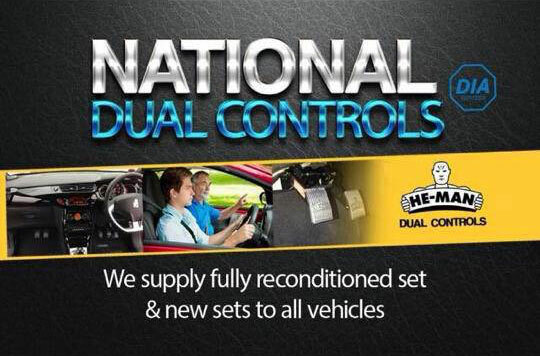 What dual controls services do we offer? Mobile installation- fitted in any location within the U.K.